I was recently asked to provide some guidance to secure a small warehouse; they only had a handful of employees but wanted to provide security for both the facility and their employees. Some of the key points I started with were explaining some large facilities exterior protection needs, as well as what a smaller privately owned businesses may need to look at. In order to reduce crime, having a good understanding of all vulnerabilities is needed, then it’s time to proceed with implementing security measures. Companies with different types of merchandise may need more or less security than another. A full scale security audit may need to be done if you have highly sensitive materials are on site. 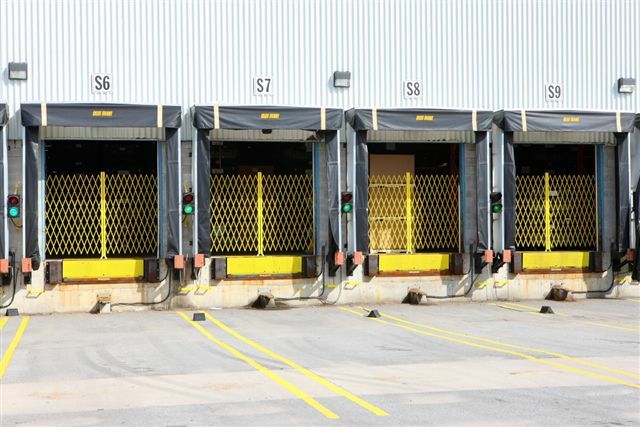 6 Steps a large facility may take to secure and restrict access. 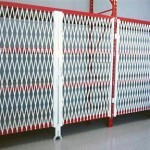 Larger warehousing, manufacturing and distribution centers often are free standing units. Their first steps to security would be stopping unwanted intruders from accessing the facility itself. 1. Install perimeter fencing, guard house or card accessed driveway gate, to prevent easy access to the facility itself. 2. Install proper lighting, allowing for no dark areas that intruders may use to gain access unnoticed. 3. Installation of quality CCTV cameras, video surveillance systems to monitor the doors and perimeter. 4. Install high quality steel doors, strong doors will slow down a potential breach. 5. Install access control card reader on all access doors and perimeter gates, to know who enters and leaves as well as what time. 6. Install dock lock systems to hold trailers for safety and security. With the perimeter protected, there are additional security tips. • Keep bushes and cut back when planted near doors or windows as they become good hiding spots. • Keep containers, like garbage cans, or scrap bins away from doors, as these become temporary places for hiding stolen goods to be picked up later. 8 Steps a small or mid-sized facility may take to secure and restrict access. Small and mid-size companies do not always have the options to protect the entire perimeter, or take all necessary steps. Regardless of the size of business security should be a priority for both the safety of employees as well as protecting your inventory from theft. The same common sense approach that a large company would take should be considered for all size business. 1. Inspect your facility, look for weak security areas. Asking an employee for his or her input can help get an outside point of view. 2. Install monitored alarm system, look at wireless systems if possible. 3. Secure your windows, operable windows to have good locks, install window bars, or fold away gates. 4. Secure the front doors, use high quality door locks with key control, install a second layer of defense with a fold away security gate keyed to front door. 5. Secure the shipping doors, use high quality pad lock, wire mesh to protect panel near lock or add security gates behind the door to help with security when not in use, or kept locked when door is open for ventilation. 6. Install video surveillance, secure recording device in a secured room with restricted access, check regularly to ensure recording, and all cameras are working covering the locations that need to be monitored. 7. Use convex mirrors to remove blind spots. 8. Install security card readers on doors and access points, control access, record card used and time. 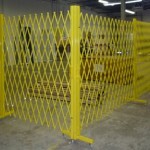 Protecting and securing the inside of a facility. Review your facility as if you were a stranger, or try to think like a thief, and don’t be afraid to ask for help from others to get their point of view. It is not always a burglar trying to steal from you, dishonest employees, truck drivers, service providers etc. can all be potential thieves. Inventory control measures, restricted access, and warehouse layout all play a very important roll to protecting your valuable inventory. • Look to Hire the right people, do background checks, ask for references and follow up on them. • Access Control, restricting who has access to certain areas or inventory helps reduce shrinkage, employees knowing they are part of select few individuals accessing an area will be more reluctant to attempt to steal. • Access control should also be considered when you have delivery drivers, service providers enter your facility. • Dock doors should remain closed and locked when not in use, if ventilation required install security gates inside behind the door. • Control who has access to keys for doors and access controlled areas. • Have driver provide ID, sign in to help reduce risk of bogus driver. • Secure access to your data, servers, alarm systems. • Secure loaded or parked trailer pins. • Train shippers and receivers to be vigilant, keep them involved in security inspections and use them to suggest and point out possible risks. And make sure they keep watch on who comes and goes.